Are you leaving town on a short notice and you don’t have a moment to drop off your pets at your friends, family, or at a kennel? 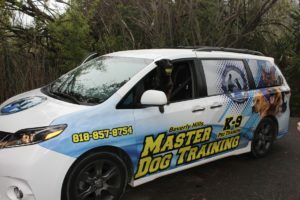 Master Dog Training offers a dog transportation service. We’ll pick up your little friend at your address, and give it a ride to the destination you provide. We can also offer kennels in various parts of the city and in its vicinity for your dogs. We are at your service! Whether your dog needs a ride to a vet clinic, a stay over at a kennel, or a dog sitter, just give us a call. If you cannot take your pet along with you to a trip, our experts at Master Dog Training will take good care of it!